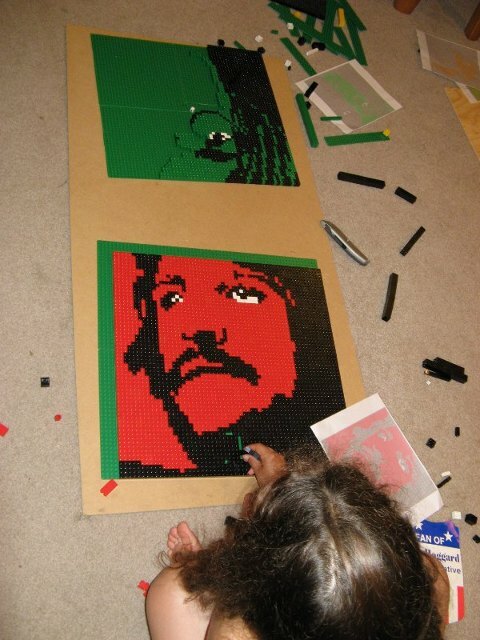 Our Lego project for the Summer of 2010 was tied to the latest musical obsession of my youngest son for The Beatles. 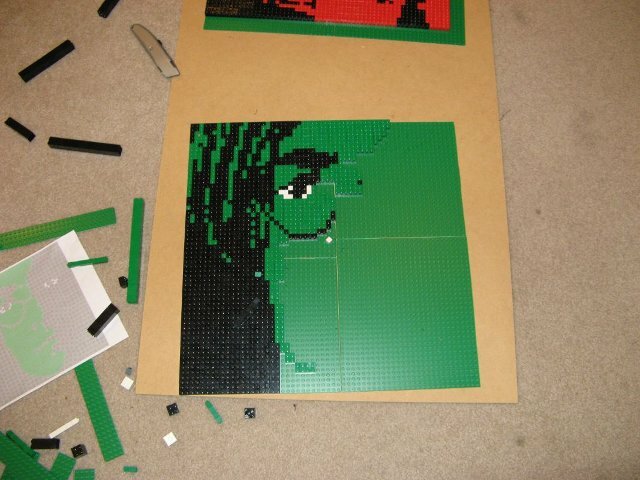 I was looking for something abstract, as that translates very well into Legos, and started digging into Warhols work when I found this piece by Günter Edlinger. 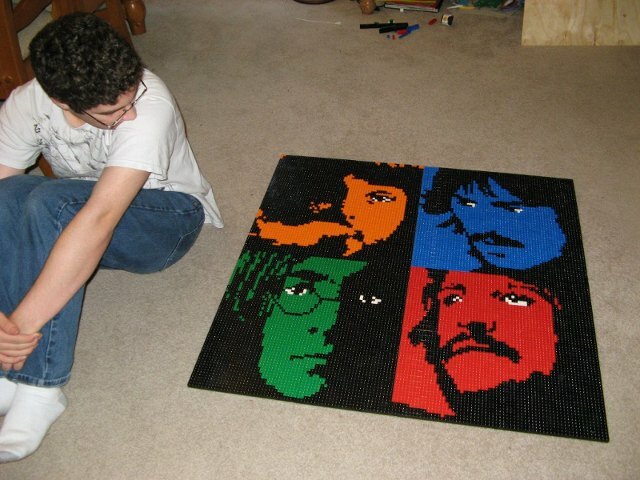 The piece is great and the arrangement seems familiar to people as it reminds them of the Let It Be album cover. Here is the completed work with my son. 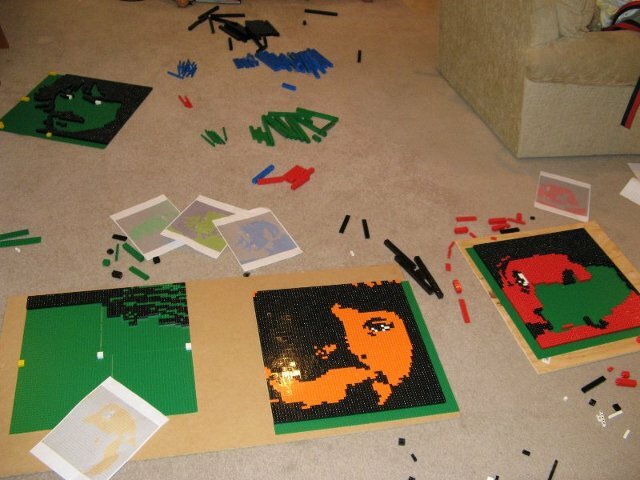 As with the other Lego mosaics, the hard part is playing with the image in Gimp (the open source version of PhotoShop) to get the image reduced down to a manageable size and Lego-friendly color pallet. 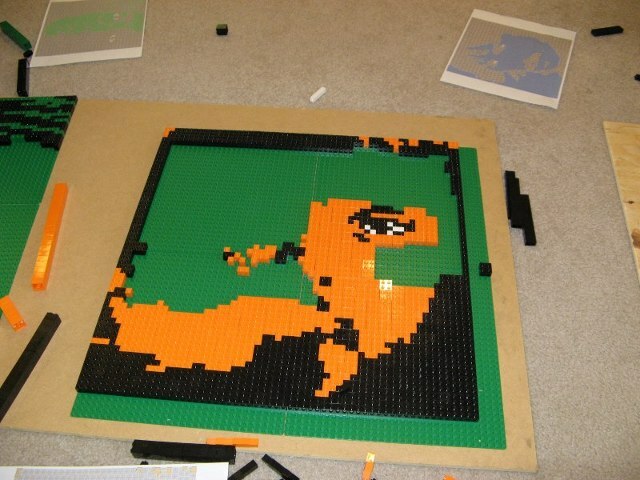 The end result is 120 by 120 pixels which ends up being 38 by 38 inches as Legos. 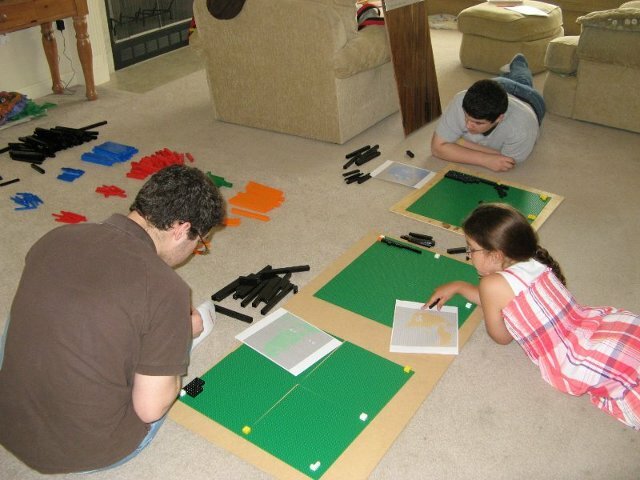 With Legos and instructions in hand we began … with a little ham. 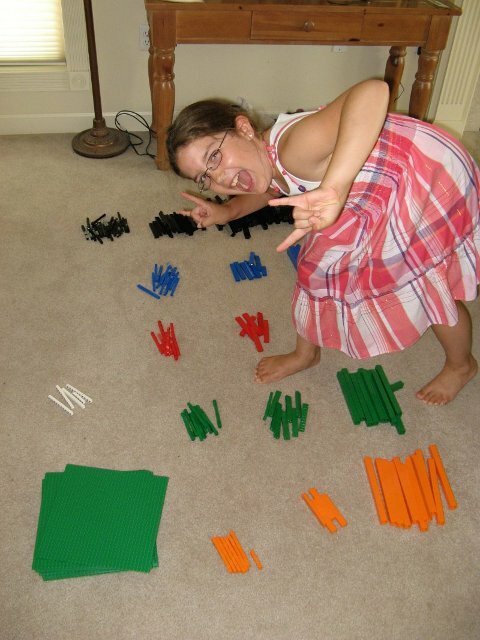 As singles the entire project would be 14,400 individual Lego bricks but after using my program to work in as many 2×2 and 1×2 bricks as possible, the brick count went down to a little over 4,400 bricks. 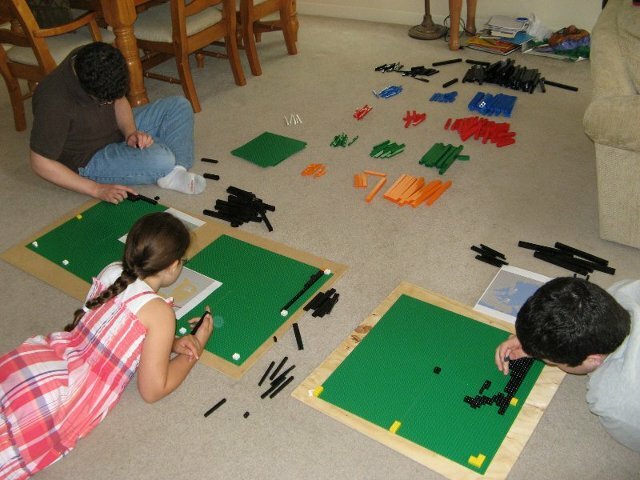 The baseplates and Legos you see pictured are all the one’s that went into the project. The bricks are stacked into sticks to make them easier to work with. The end result is now displayed proudly in our basement. 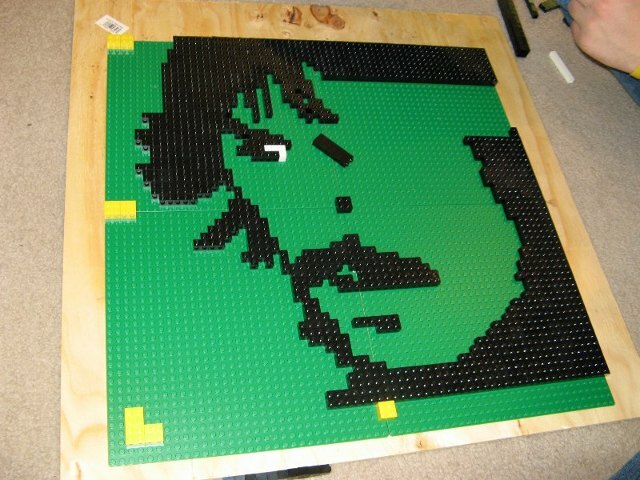 During the process several Legos Beatles related song sprang to mind, but Stay Together seemed to capture the mood and became the name of the piece.